Life can be challenging at times but there will always be a way to resolve these challenges and come out victorious. Having this in mind will be easy to keep your patience and continue to move forward. Just like losing strands of your hair due to factors beyond your control, you too can do something. Don’t let your stress factors contribute to your hair loss. Letting yourself succumb to anxiety will definitely show up to your follicles and this can lead to more hair loss. Hectic schedules and pressure from work, not to mention the pollution and filth outside easily make you feel unease and, at times, irritable. Slow down a bit, have fun and relax. There’s no better way to begin with your mane. Tip 4: Choose natural. 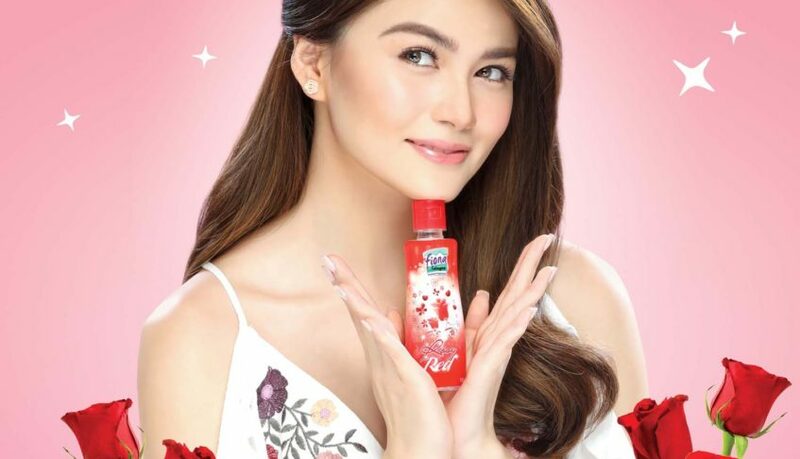 Use NOVUHAIR topical solution. Apply liberal amount on to your scalp and hair. Massage it gently for -10 minutes to help permeate deeply from root to tip. 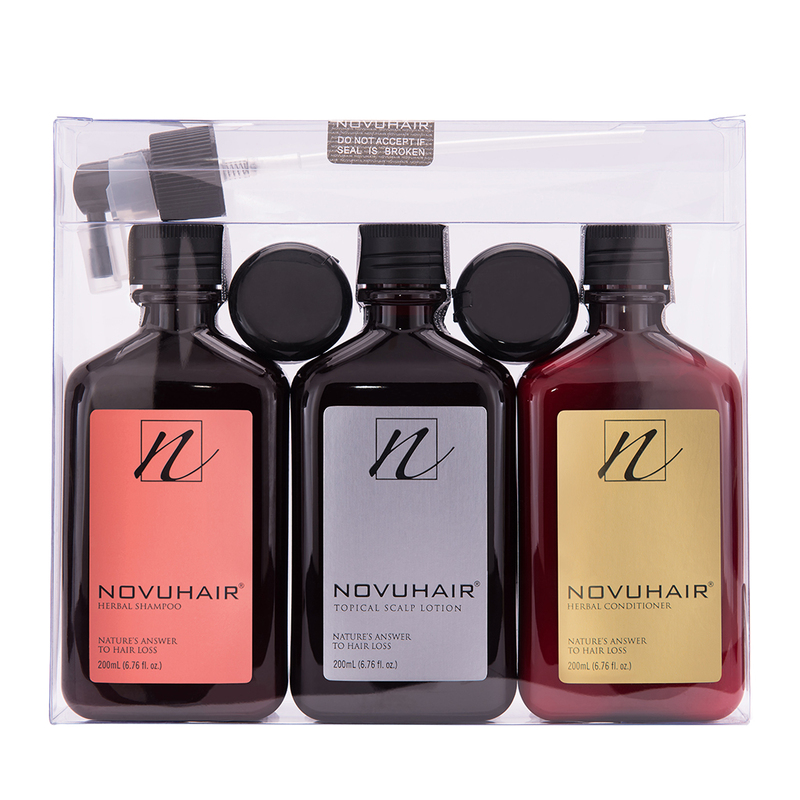 NOVUHAIR is packed with 19 natural ingredients that help promote growth, nourishment and rejuvenation of your tress. Every milestone deserves to be celebrated in grand fashion. On the occasion of the 13th anniversary of Wedding Essentials—the ultimate guide for the modern Filipina bride and the country’s fastest selling bridal magazine—and The Manila Hotel, the country’s premier five star hotel, brings to you another year of Tadhana. 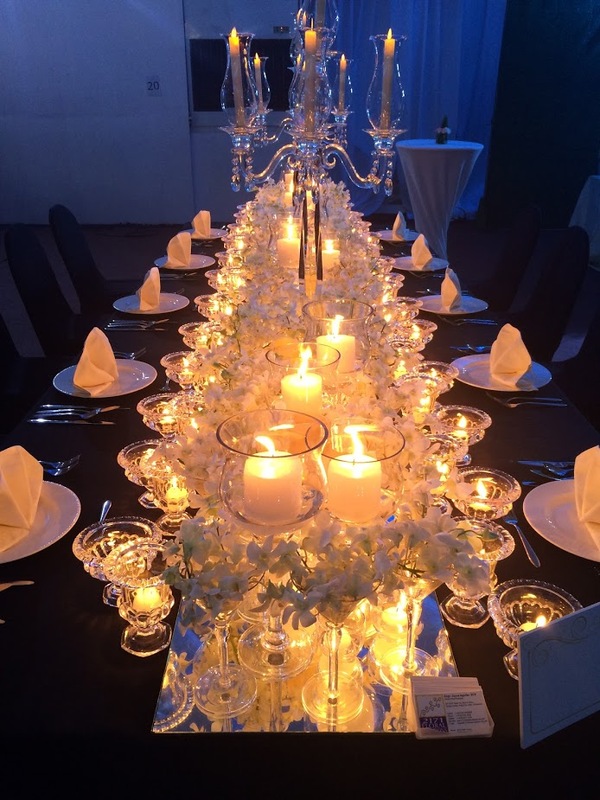 The Grand Dame has been one of Manila’s go-to venues for luxe celebrations. 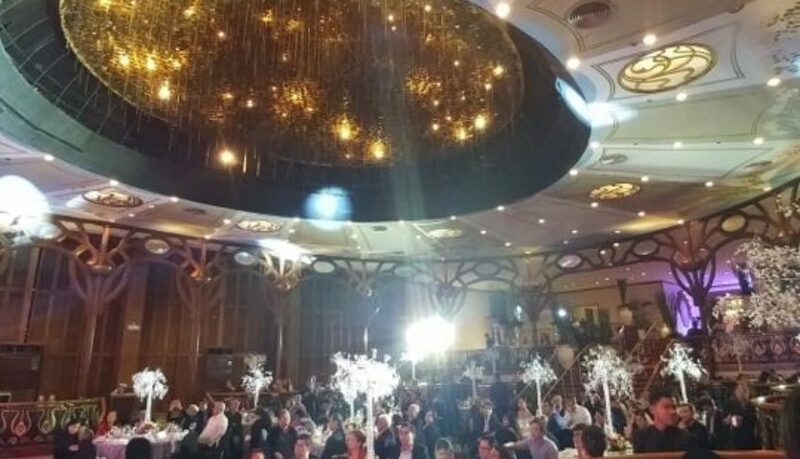 From its opulent lobby to its festive ballrooms, and now Tadhana’s venue, The Manila Hotel’s Tent City – The perfect place for large events of up to 2,500 guests, from fashion shows to conventions and exhibits. 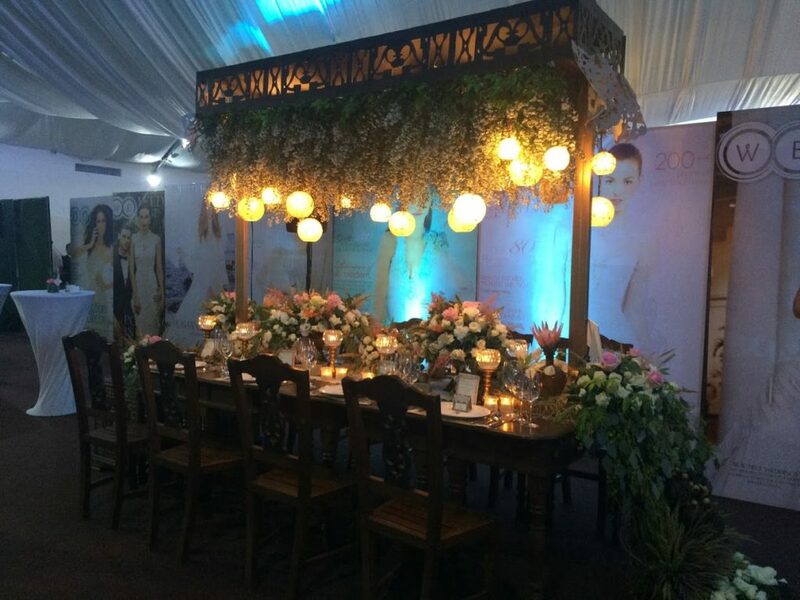 One of the event’s highlight is the 35 cover reveals of 35 real couples featured in the latest issue of Wedding Essentials Magazine. 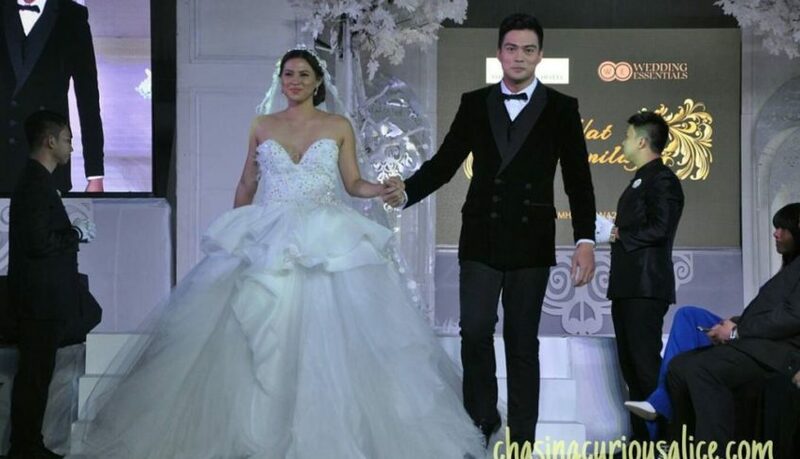 The show ended with an array of bridal gowns from young designers—Khai Villanueva, Kat Corpus, Catherine Cavilte, Yeye Pantaleon, Raphael Louis Gonzalez, and Nat Manilag. 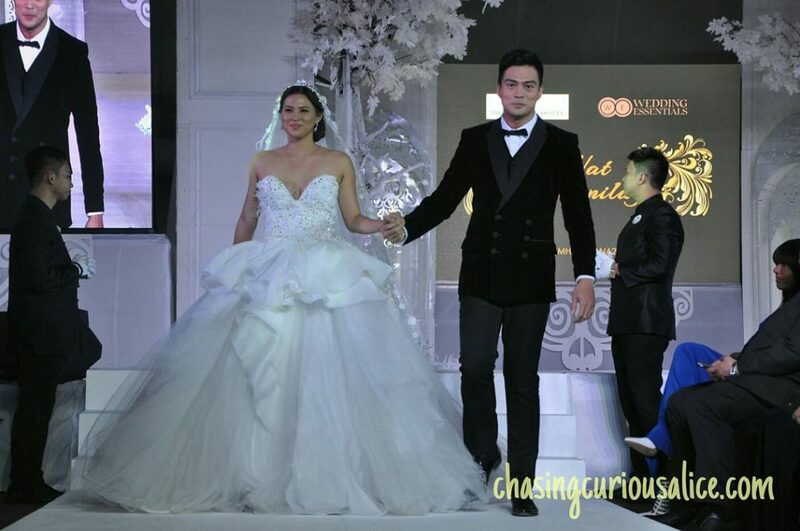 While seasoned designer Pat Santos, made sure she ended the affair with sheer elegance. 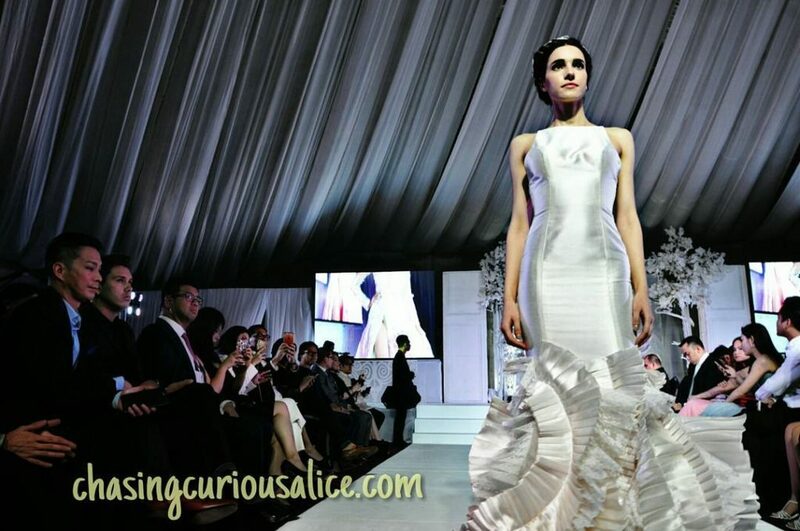 “Tadhana is an event wherein we showcase exquisite Filipino talent and craftsmanship, from gowns, to table setups and food, Wedding Essentials and The Manila Hotel will always make sure to be here with you on your big day”, shares Kitten Zapata, Editor-in-Chief of Wedding Essentials Magazine. 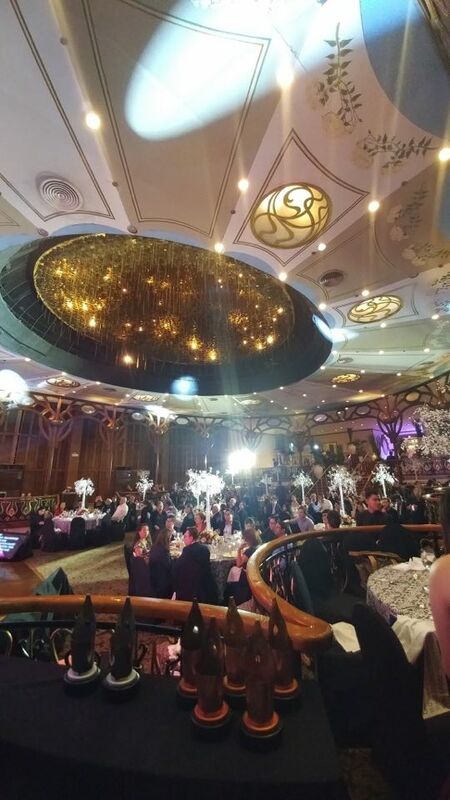 The annual event was full of success with the help of its partners, The Manila Hotel, Manila Bulletin Online, Christine Ong-Te Events, Sensitivity Lights and Sound, 4th Wall Productions, The Write Impression, Pixel Image, Bernie Pasamba Orchestra, Teddy Manuel, Michael Ruiz, Gideon Hermosa, Vivere Salon, Randy Sta. 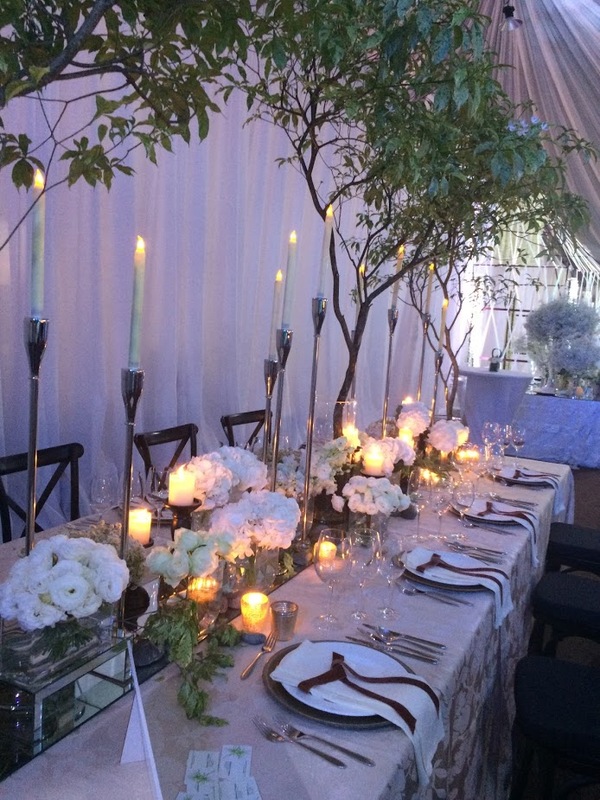 Ana, Event Shaker, Audio Dream, Dragon Fireworks, Zbar, Panasonic, Delsey, Skyjet, Air21, Crate and Barrel, La Jeunesse, Limtuaco, Zen Institute, and Emperador. 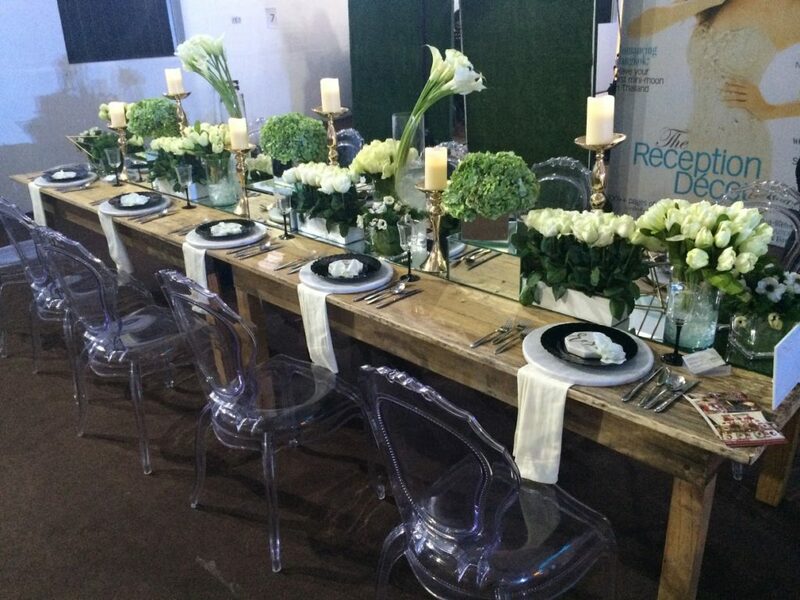 To know more about the event and get easy wedding reads please visit www.weddingessentials.ph and follow @WeddingEssentialsMagazine on Facebook and @weddingessentialsph on Instagram. Moms are superheroes. They take care of you from the moment you were born until you can be independent. The first few years of life is the most crucial and keeping you free of sickness is on her checklist. With the many roles moms have to play, keeping the family happy and healthy is always top priority. This becomes even more challenging when the rainy season ushers in even more diseases, but with the unpredictability of the weather nowadays, how can moms keep their families safe from illnesses all year round? Recent health news on mosquito-borne diseases like Dengue and Japanese encephalitis, as well as highly-communicable ones like flu sound scary if they aren’t very familiar with ways to prevent them. But with the right knowledge and partners with the same goal, moms can rise shoulder to shoulder in protecting families against these vaccine-preventable illnesses. “Mom Protect” highlights the importance of awareness of and access to new and better health prevention methods as family health and wellbeing is any mom’s top priority. The government has consistently emphasized the importance of vector control to stay vigilant and be prepared against diseases, especially those that are mosquito-borne this rainy season. Though the practice has helped communities prevent outbreaks, Dr. Montalban urges moms to take a more proactive approach when it comes to family. Proactive prevention constitutes a three-pronged strategy: Awareness, Diligent practice, and Sharing. First, moms are encouraged to become actively aware and alert by reaching out to their doctors to know more about prevention methods they can do or apply at home. This is also to ensure that they are thoroughly updated on new medical developments that might be of help in the future. After, diligent practice of learnings received—even when children are past toddler-age—is recommended as consistency is key in building and fortifying family health and resiliency. Finally, passing accurate information forward to other mothers is important. Dr. Montalban encourages moms to join communities online to connect with people who share the same experience and those who have successfully combatted these illnesses. 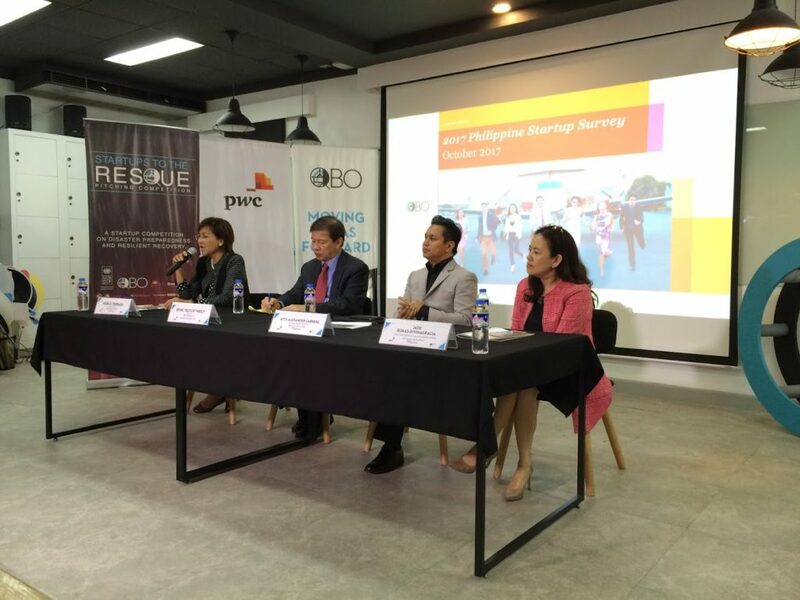 Through the Mom Protect discussion, Mommy Mundo and the PFV aspire to give Filipino families peace of mind amid public health concerns by thorough preparation together. 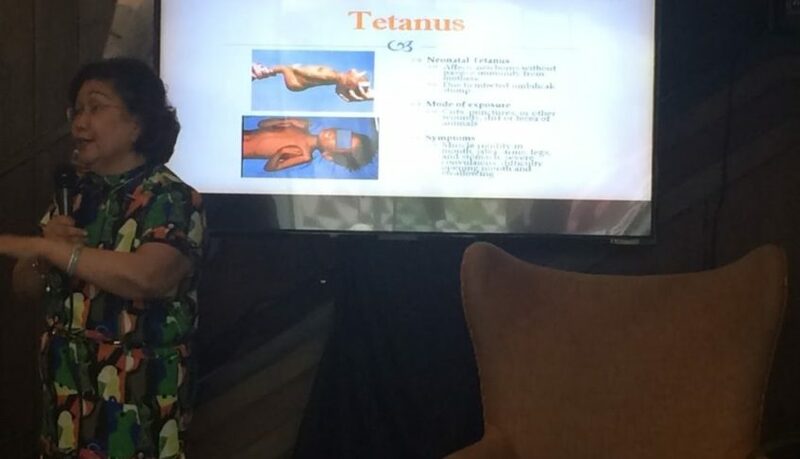 “With the information and resources already available to us moms, we know casualties of any of these diseases will lessen and lessen until there are none at all,” Dr. Montalban added. 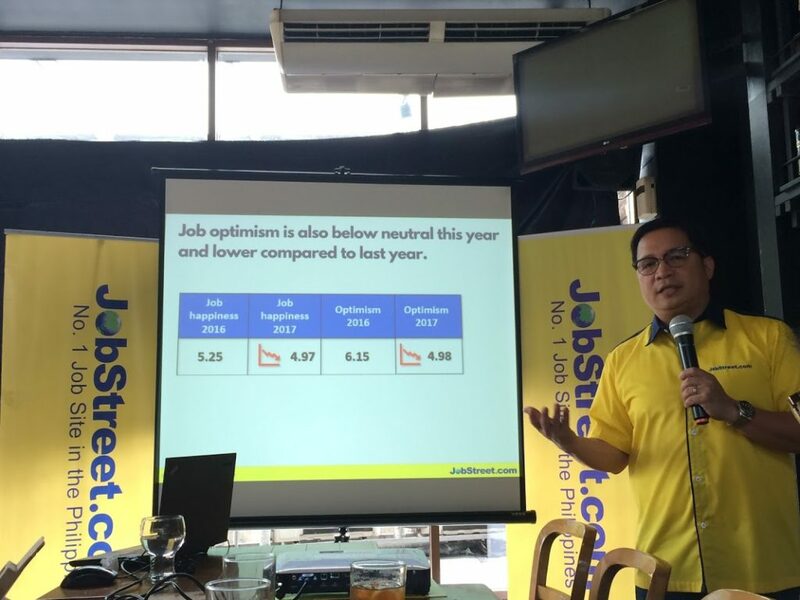 MANILA, October 25, 2017 – Job satisfaction level in the Philippines decreased from 5.25 in 2016 to its recent rating of 4.97 on a 10-point scale. According to JobStreet.com’s Job Happiness Index for this year, Unhappiness at work is directly related to lack of career development & training opportunities. Management style of a company’s leadership team adds up to it as well. 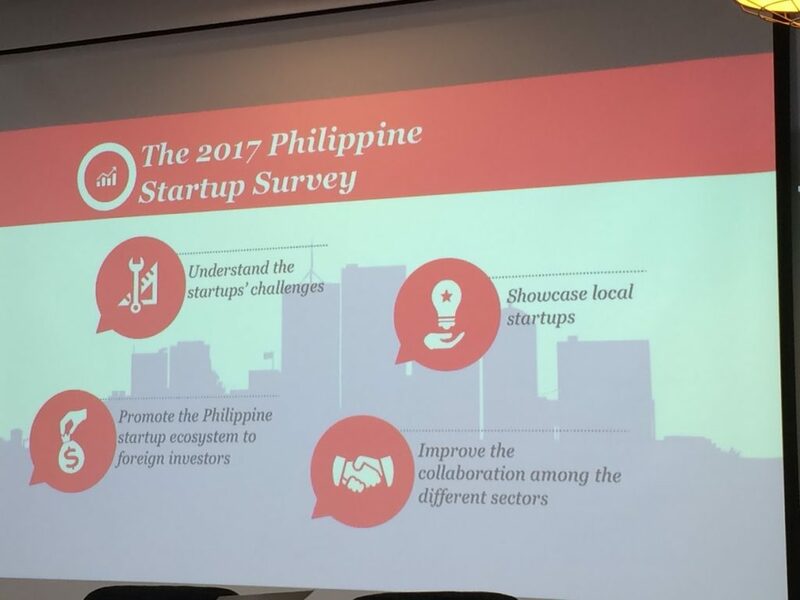 JobStreet.com surveyed 9,326 Philippine respondents from July 31 to August 31, 2017. The respondents were from different position levels (predominantly junior executives and supervisors) and represented a diverse mix of specializations. 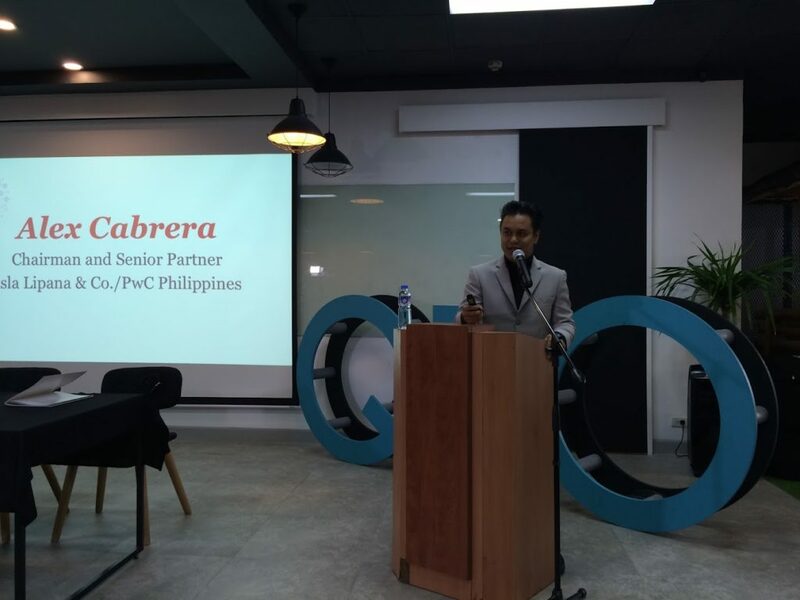 Fiftysix percent of respondents came from the National Capital Region, 12% from Southern Tagalog, 7% from overseas, 6% from Central Luzon, and 5% from Cebu City/Province. 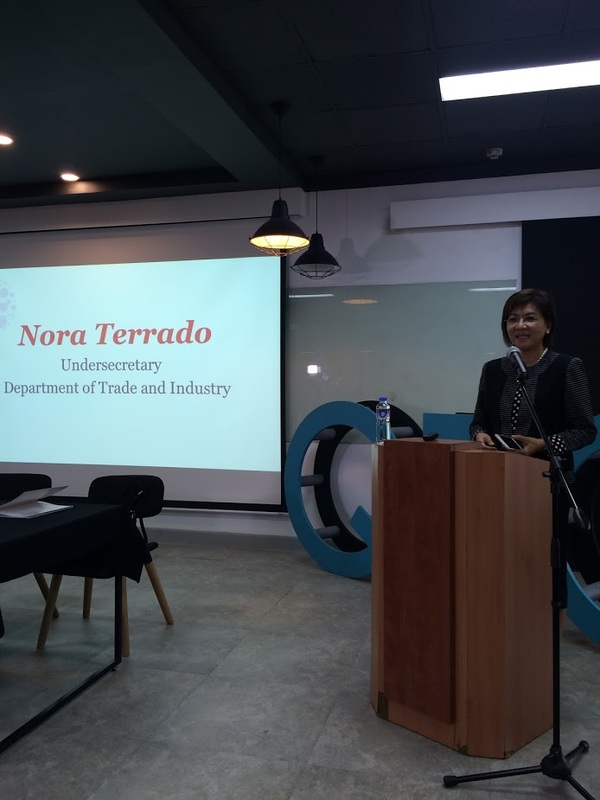 “More and more Filipinos are looking for career development. 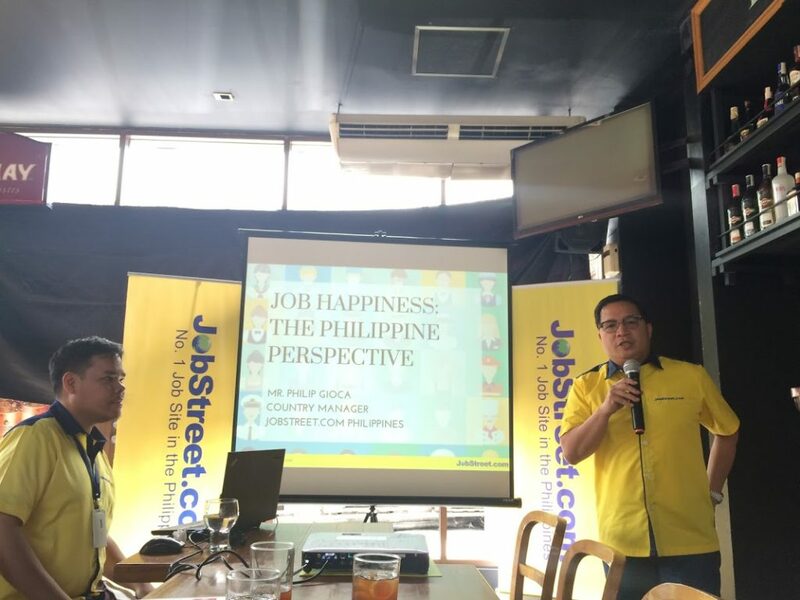 They want to move forward in their chosen fields, but the lack of career development and training opportunities in their current companies seem to hold them back,” jobStreet.com Country Manager Philip Gioca said. When respondents were asked what will make them happier in the next six months, 33% said a salary increase would help, but 23% wish to resign and get a new job. The respondents who said they were happy cited colleagues, work location, and company reputation as the top three drivers of workplace satisfaction. This is largely true across all demographics. 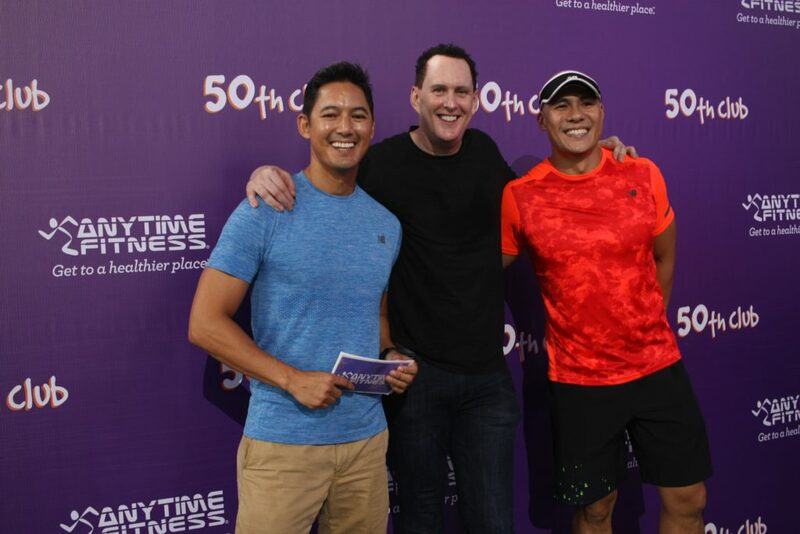 According to the study, in terms of generations, baby boomers, or those born before 1960, are the happiest at 5.63, followed by the those belonging to Generation Z at 5.10. The same can be said in terms of position level, where the top executives or the more established segment of the workforce, which are expectedly populated by the baby boomers, as well as the Fresh Graduates, have the highest happiness score. Generation Xers barely managed to score above neutral at 5, while millennials, who compose the majority of workplaces, are below neutral with an average of 4.9. “The results of this study serve as a wake-up call for companies who wonder why there is such a high turnover rate. 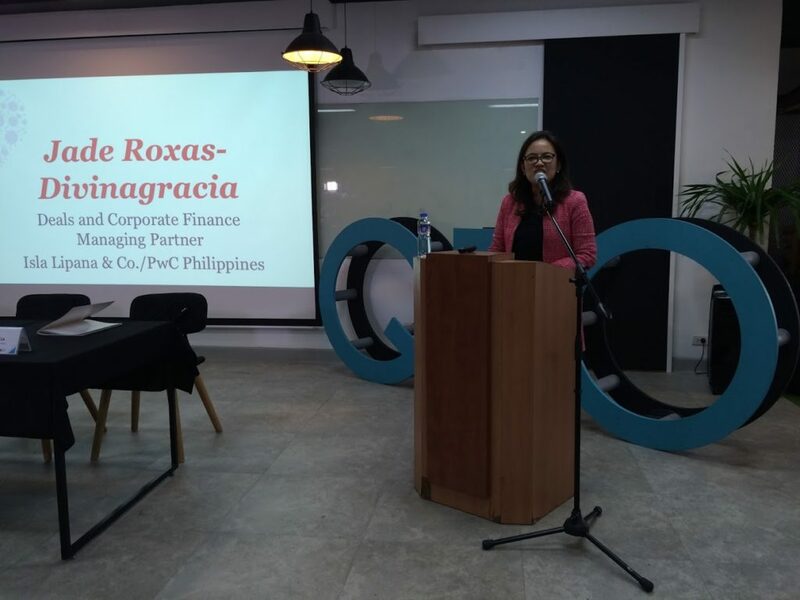 Career development, training opportunities, and the management style of the company’s leadership team are just some of the reasons why many Filipinos are unhappy in the workplace. 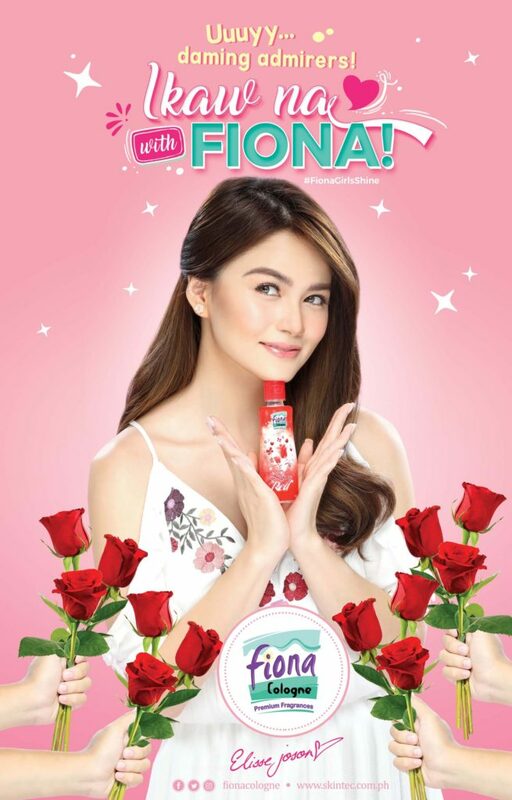 It would be best if managers can get to the heart of why this is happening as each company’s DNA is unique,” Gioca added. 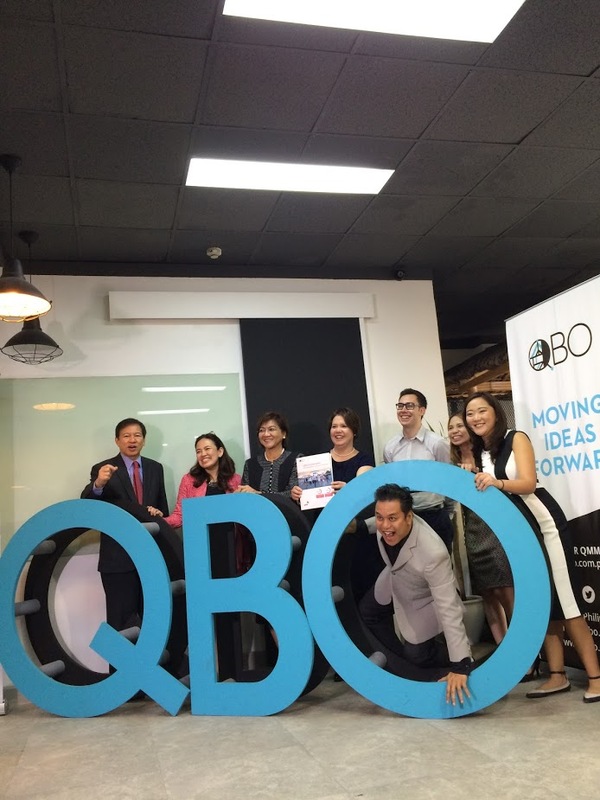 The 2017 Job Happiness Index was conducted in Southeast Asia, with a sample size of 35,513. 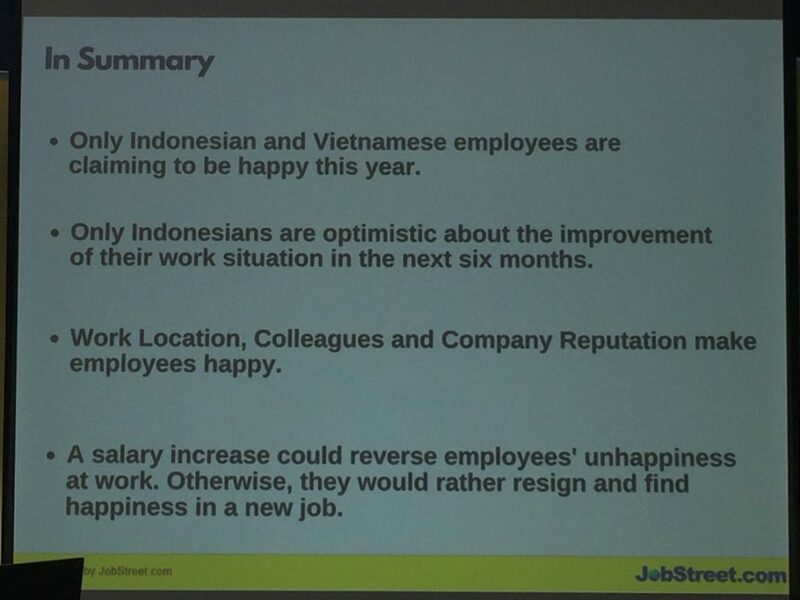 Job satisfaction is highest in Indonesia (5.27), followed by Vietnam (5.19), the Philippines (4.97), Malaysia (4.65), Thailand (4.55), Hong Kong (4.45), and Singapore (4.31). 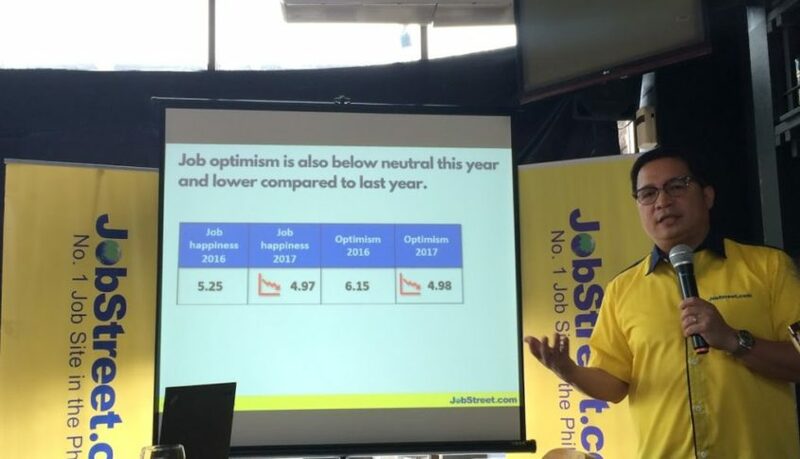 For more information about JobStreet.com and the 2017 Job Happiness Index, please visit the website at http://wwww.jobstreet.com.ph. Healthy eating contributes a lot to a body that is disease-resistant and to a longer life. Getting the most of the nutrients from the food we eat is the key, but how can we ensure it? 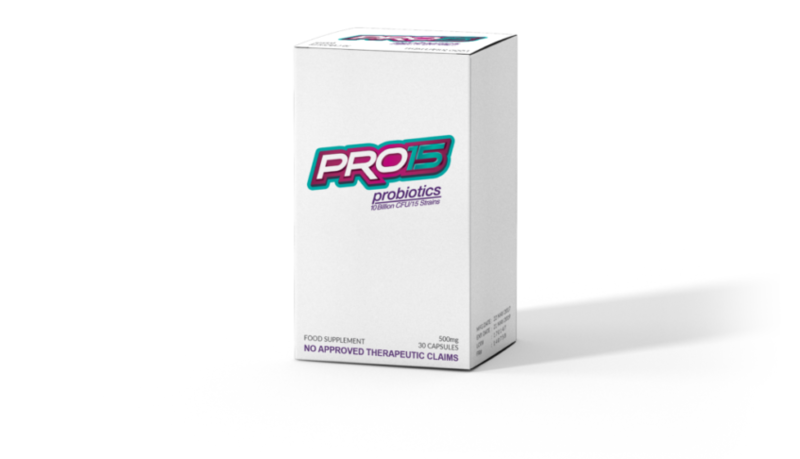 PRO15 PROBIOTICS is a product that will help prevent at least 85% of all the diseases known to man, a product that will help you restore your and your loved ones’ OPTIMAL HEALTH. 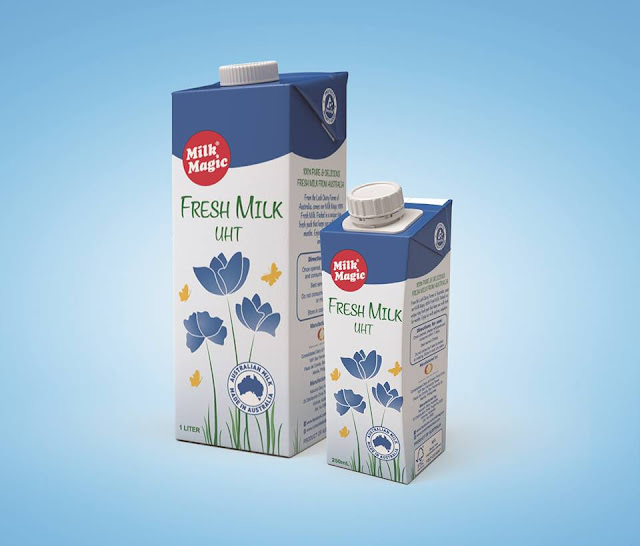 There are only a few manufacturers and distributors of probiotics GLOBALLY, Why? The answer is again, simple, Probiotics die easily, and once dead probiotics are NOT beneficial to the person drinking it. They have to be LIVE when they reach the small and large intestines and they have to be in ADEQUATE amounts. Such are the characteristics of PRO15 PROBIOTICS!!! 1. Manufactured by a Double ISO Certified Company exclusively for Cognoa International Inc.
2. Patented Double Microencapsulation Technology – to ensure that all of the 15 Strains of Pro15 survives the Stomach Acids and Bile Salts, making its way to our Small and Large Intestines where they will colonize and proliferate. 3. Human Origin- Our Probiotic Culture are not from Plants or Animals but from Humans. Probiotics from Humans for Humans. 4. Endorsed, Prescribed and used by more than 300 doctors nationwide. 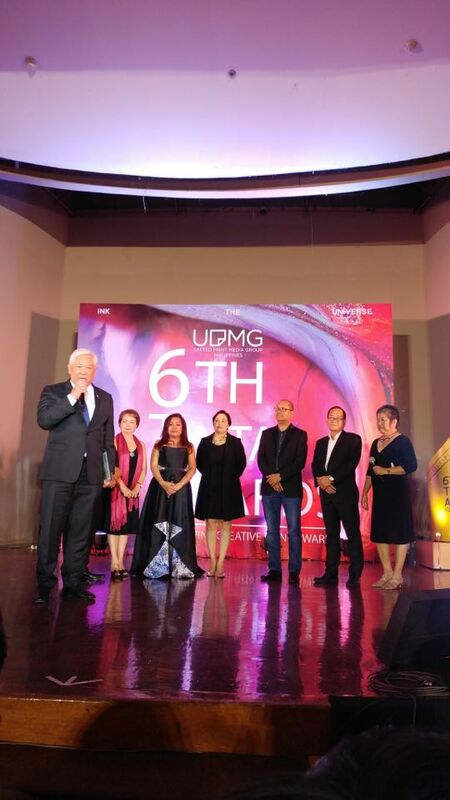 Manila, Philippines — The print industry has proven itself as still alive and thriving in the age of disruption as the United Print Media Group held the 6th Philippine Tinta awards tonight at the Manila Hotel. The annual award-giving event accepted a record-breaking 300 entries this year-the most number of entries in the award event’s history. The different nominees vied for seven categories which include Best Print/Magazine Advertising (Consumer and Public Service), Best Interactive Print Campaign, Best Special Print Media Execution, Best Online Advertising Campaign and two new categories: Best Magazine and Newspaper layout and design, and Best Special Supplements. 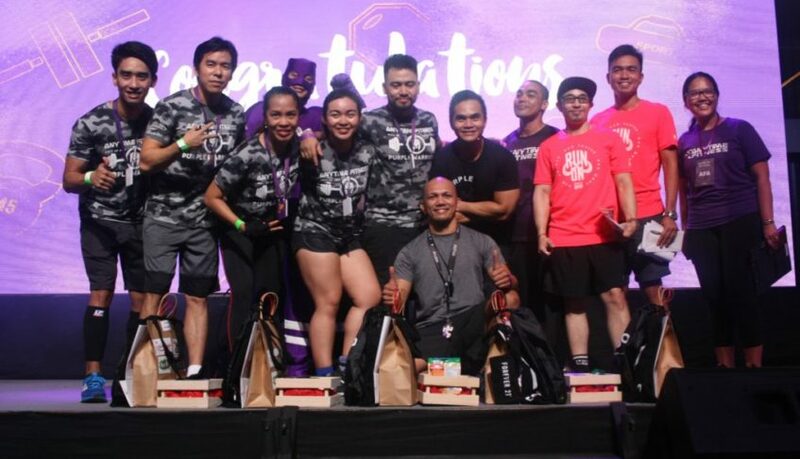 In addition to the competition categories, prizes were also given away for Best Copy, Best Art Direction, Best Typography, Best Illustration, Best Digital Imaging/Retouching, and Best Photography. For Newspaper/Magazine Craft, awards for Best Overall Newspaper/Magazine Design, Best Newspaper/Magazine Supplement Design, Newspaper Sections/Feature Design, Best Magazine Section/Feature Design, Best Photography and Best Illustration/Infographic were also given away. 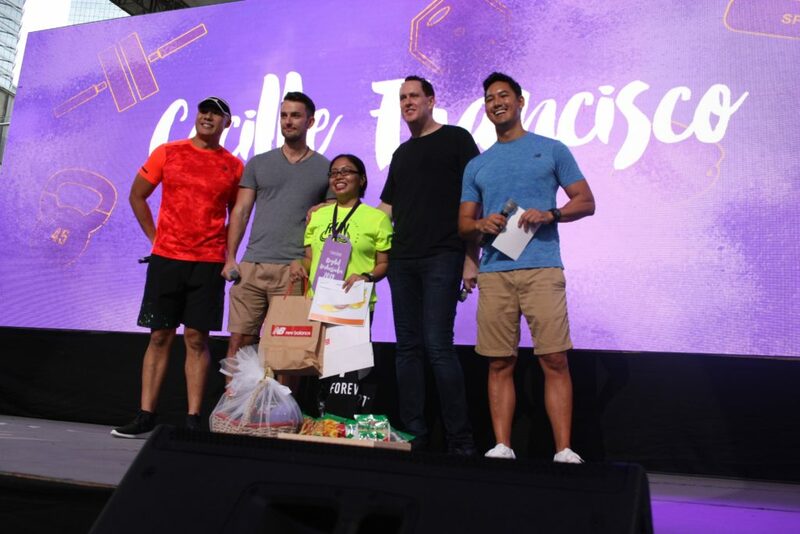 The entries were judged by renowned personalities in the creative business headed by jury president McCann Worldgroup Philippines executive creative director Joe Dy, together with IdeasXMachina CEO Third Domingo, TBWA/SMP Executive Director Bryan Siy, PHD Philippines general manager Mickey de Castro, OgilvyOne WorldWide Manila executive creative directro Mike Sicam, Nuworks Interactive Lab, Inc. executive director Joey David-Tiempo, Partner of Gigil Badong Abesamis Publicis JimenezBasic creative group head&head of design Alnair Langkay and Ace Saatchi & Saatchi executive creative director Greg Martin. 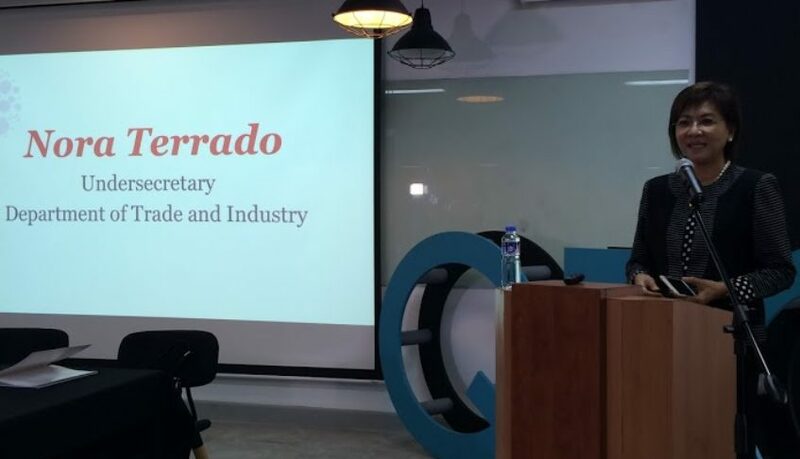 Angel Guerrero, this year’s award chairperson and publisher of Adobo Magazine, lauded the record number of entries in this year’s awards. 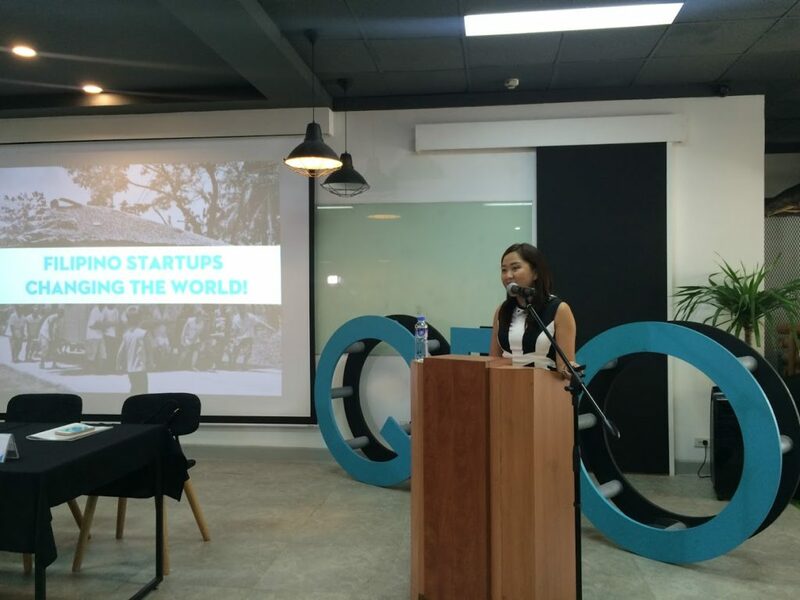 She said that this record indicates that the print industry is still a compelling and flourish medium of communication in a global media industry that is significantly disrupted and shaped by increasing digitization in the industry. 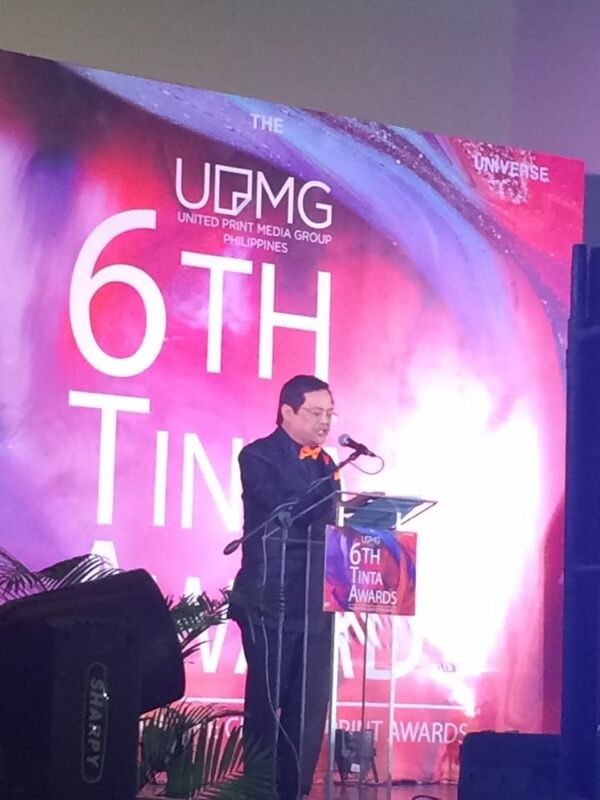 Likewise, United Print Media Group president Barbie Atienza echoed Guerrero’s optimism about the industry, and noted that the record number of entries in the 6th Tinta awards is a sign that publishers and print media firms are further pushing the envelope for creativity because of the digital disruption — a phenomenon that is good and beneficial for the industry. 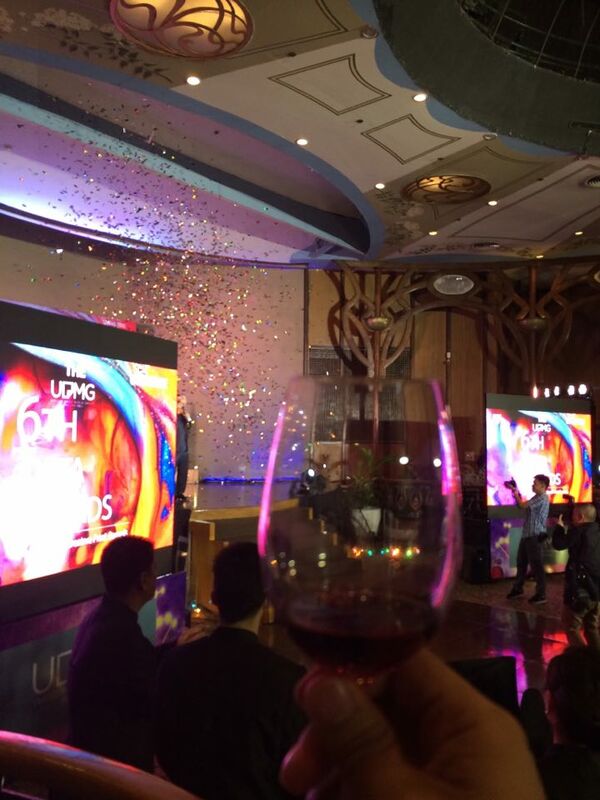 As the awards event concluded tonight, the creativity, resourcefulness and industry unity that it fostered and encourage are all clear indications that print is here to stay.